It looks as if we're going to dodge the Joaquin bullet. A hurricane. For the past couple of days, we were sitting on the edge of our proverbial seats. 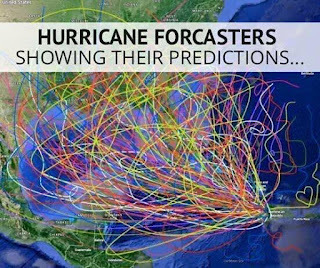 There was a time when Joaquin wouldn't have been a concern, however, in the past few years, we've had our fair share of doozie storm systems. Hurricane Irene tore through Connecticut on August 28th of 2011. Two months before I officially moved to Connecticut. I was living in New Hampshire. Lisa resided in Connecticut. We lost power for 3 hours. She lost power for almost a week. Some people were without power for longer. Between extensive power outages, flooding and people losing their homes, it was a devastating storm all the way around. A Nor'easter that made history and stumped meteorologists, dumped large quantities of snow in Connecticut on October 29th of 2011. Storm Alfred was nicknamed Snowtober. This was the day I moved to Connecticut. We left New Hampshire early afternoon. It was warm. Raining. By the time we neared the Connecticut border, it had changed to snow. Lots of it. We had a white Halloween. Trick-or-Treat was cancelled in most towns. Hurricane Sandy ripped through Connecticut on October 29th and 30th of 2012. Three months after we moved into our current home. We invited our friend Annie over for a pre-hurricane party. We drank wine and made cake pops. Coco, at the time, was an only child. We were fully prepared. I had made baked goods, we stocked up on non-refrigerated groceries, had several gallons of water and our bathtub was filled. Batteries stocked. Cell phones charged. We lost power for a total of 6 hours. Here it is 2015. We were due. The forecast models put hurricane Joaquin making landfall in Connecticut. While I don't tend to panic with storm systems, this time around was different. We have 3 kids now. 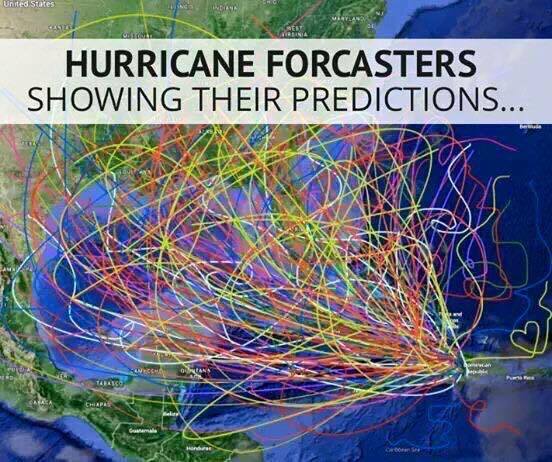 They had predicted Hurricane Joaquin, at one point, delivering a punch of winds exceeding 60 mph for our area. For us, that's a lot. Enough to knock out power. I wasn't in a state of panic. Yet. There was still time. Not all of the models pointed towards the East Coast. The most reliable disputed this direction. There was hope. However, to stay ahead of the game, I started making lists. Groceries to pick up. Baked goods to prepare ahead of time. How much food the kids would need if we lost power for a day, two days, five days? Did we have enough cooler space to keep their meals from going bad? If not, what did we absolutely have to purchase? Candle inventory. Batteries. The lists were extensive. With 3 kids, being several steps ahead was not an option. Thankfully, today, it looks as if we, the East Coast, will dodge the Joaquin bullet. While I'm aware things can change at the last minute, as Mother Nature takes the crown on all things unpredictable, major and local weather sites are confident enough to announce Joaquin will not touch us. Most of us are jumping for joy. Doing the happy dance. After hurricane Irene and Sandy, people are still, to this day, rebuilding. No one wanted another destructive storm system on top of those two. After hunkering down and getting through Hurricane Irene and Sandy, and witnessing the devastating aftermath, I am relieved. Yet, I find myself disturbed by those who have blatantly expressed their disappointment. They wanted this storm to hit. They love a good storm. To be amid Mother Nature's fury, and having the means to capture it all via photography and video...it's a "rare treat." This is the side of human nature I will never understand. A rare treat? People in our area, and in surrounding towns, lost their homes. Businesses were under water. Literally. People were without power for over 2 weeks. Shelters were overpopulated. Families lost hundreds of dollars worth of groceries and went without showers for days. A hot cup of coffee, once considered an every-day-essential, was then considered a luxury item. The list goes on. While Lisa and I were fully prepared ahead of time for Joaquin, and I would have stood in the worst of elements to capture video and photographs, I am NOT one of those humans who are disappointed by the recent shift in direction. The safety of our family trumps any photograph or storm experience. I don't care if one of my photos would have won National Geographic's highest honors. My family's safety and well being is number one on my list. And this is why I'm bidding farewell to the threat of hurricane Joaquin blasting our area with its force and might. Again, I am relieved. And, we're keeping our fingers and paws crossed Joaquin continues to shift east. Far, far, far away from us.